A complete GT3000 detector consists of a transmitter (GTX) and a sensor module (GTS). The transmitter generates a 4-20mA output signal with HART that is proportional to the concentration of the target gas and corresponds directly to 0-100% full scale output. The GT3000 toxic gas detector is an intelligent stand-alone industrial gas detector that provides continuous monitoring of the atmosphere for hazardous gas leaks or oxygen depletion. The GT3000 gas detector consists of a replaceable sensor module (Model GTS) connected to a transmitter module (Model GTX) that is compatible with all GTS sensor modules. A variety of sensor modules are available in various concentration ranges. Our full line of hazardous gas detection system configurations range from a variety of fixed infrared, catalytic, and toxic gas detectors to a complete line of display transmitters, gas controllers, power supplies, and gas control panels, Det-Tronics delivers the performance, quality, and reliability you can depend on to keep you safe and satisfied. 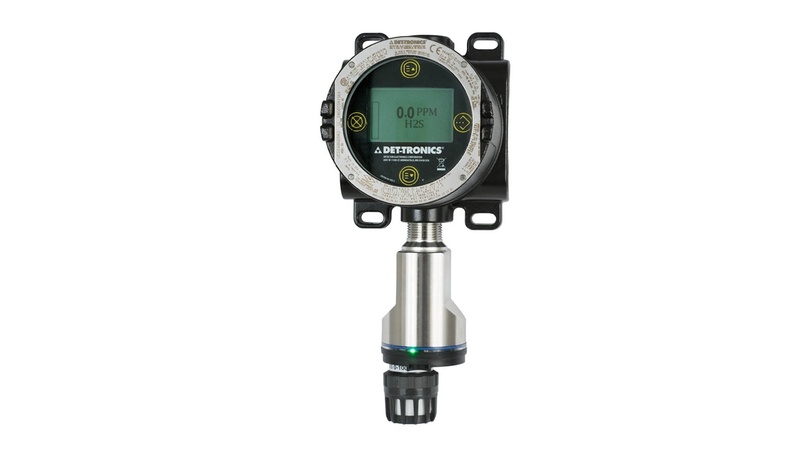 For the latest in combustible gas detection technology, you can rely on Det-Tronics to offer you rock-solid performance that requires minimal maintenance and calibration. In addition to our complete line of catalytic product solutions, we have a comprehensive line of infrared product line and accessories. No other company provides a more complete line of flame and gas detection solutions than Det-Tronics. Our toxic-gas detection portfolio includes sensor types such as electrochemical, metal oxide semiconductor (MOS), and nanotechnology applied to MOS sensors (NTMOS). Our latest addition, the FlexVu® Universal Display, provides non-intrusive calibration and configuration for a variety of detectors. Det-Tronics delivers the performance, quality, and reliability you can depend on to keep you safe and satisfied. Keep personnel out of harm’s way by adding an industrial grade camera to your gas-detection solution. The system can be as simple or as complex as required. Your tailored surveillance system can include real-time viewing, remote monitoring with internet accessibility, and pre/post event recording.